Khan Said group of Mahsud Taliban in South Waziristan, previously a splinter group of Tehrik-e-Taliban Pakistan (TTP), has re-joined the TTP, according to an audio message disseminated by the TTP. The audio message highlights that the Mahsud Taliban have not only announced allegiance to the TTP but also proclaimed their submission to the TTP emir Mullah Fazlullah. They have also appealed other jihadi outfits operating in Pakistan to join their hands with TTP to ensure expansion and growth of Jihad in Pakistan. Khan Said group of Mahsud Taliban broke away from TTP in May 2014, while exhibiting a long charge sheet against the TTP leadership. The group had alleged that the TTP had deviated from the ideology of its founder Baitullah Mahsud. The spokesperson for the splitting group, Azam Tariq, also proclaimed that TTP had slipped into the hands of a bunch of conspirators who received money from foreign elements for carrying out bomb attacks at public places. Following the killing of Hakimullah Mahsud, former TTP emir, in the US drone strike on November 1, 2013, Khalid Mahsud aka Khan Said Sajna, who led the Waliur Rahman group of TTP at that time, was also a contender for the TTP’s leadership. During a meeting of Pakistani Taliban’s shura convened to elect the TTP emir on November 2, 2013, Khan Said was acceded by 43 out of 60 members of the shura. However, some high-ranking commanders of the TTP at that time had disagreements with him, due to which he remained unable to clinch the top chair. 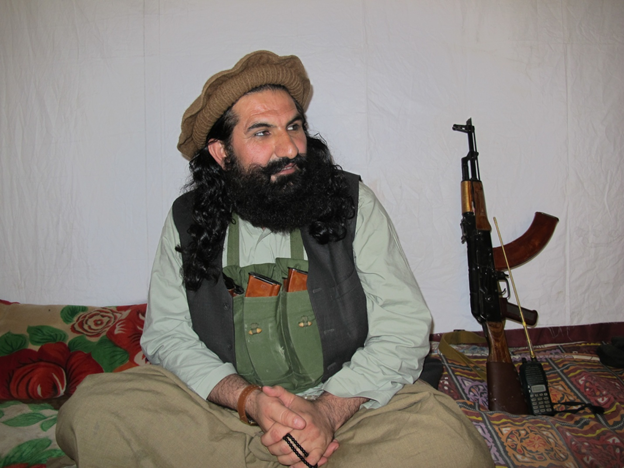 The Sajna group also remained engaged in sporadic infighting with Shaharyar Mahsud group during April and May 2014. However, it announced its split from TTP in May 2014 and vowed to continue the Jihadi policies pursued by Baitullah Mahsud. There is a substantially good news for Ummat-e-Muslima (Muslim community). All the Muslim and Jihadi forces along with Ummat-e-Muslima (Muslim community) across the world, in general, while Pakistani Muslims, Jihadi forces and religious scholars, in particular, are acquainted about a positive development. Owing to some irreligious and political maneuverings of a conspiring section, Tehrik-e-Talibaban Pakistan (TTP), a jihadi organization contrived by the eminent jihadi leader and Imam-e-Inqalab (chief of revolution) Baitullah Mahsud, witnessed a large-scale segmentation and a major jihadi faction – TTP Mahsud group – broke away from the jihadi movement. However, by the grace of Allah, the dissected Mahsud group, following the separation of that subversive segment of the jihadi movement, announces allegiance to the movement and proclaims submission to the chief emir, Maulana Fazlullah, as the central executive of the movement. It also appeals all the jihadi organizations of Pakistan that jihad can survive and prosper only when we will be united and on the same page and that TTP is the prime jihadi force in the context of jihad in Pakistan. The subversive group which cast intolerable damages to the Pakistani Jihad has parted ways with the movement and has joined the forces which are against jihad. Therefore, all the jihadi groups and forces should join and come on the same page. Mahsud Taliban forms a major part of Pakistani Taliban when Khan Said group parted ways with the TTP in 2014. The division among different groups of the TTP was taken as a success of Pakistani government and the military as they had been endeavoring to counter the growing violence across the country. Nonetheless, the recent announcement of Khan Said group is indicative of reviving ties among the divergent militant groups operating in the country. As Mahsud Taliban make the major chunk in TTP, this unification can lead to the recurrence of violence generally across the country and particularly in tribal areas. Following the enduring security operations launched by Pakistan Army in the tribal areas, the TTP and its splinter groups, including Khan Said Sajna group, established their sanctuaries across the border in Afghanistan. However, the recent development can not only lead to their return to Pakistan, but also can help in augmenting their operational capacities within parts of the country. Khan Said group is believed to be involved in diverse attacks, including those of Karachi Naval Base in 2011 and jailbreak of Bannu in 2012. Moreover, it is also infamous for its involvement in the kidnappings of Professor Ajmal Khan in 2010, a Swiss couple in 2011, Ali Haider Gillani in 2013 and nine officials of the FATA Development Authority (FDA) and six employees of Geofizyka Krakow, a polish oil and gas surveying company, in 2016.